The National Exhibition Centre (NEC) is an exhibition centre in Birmingham, England. It is near junction 6 of the M42 motorway, and is adjacent to Birmingham International Airport and Birmingham International railway station. It has 20 interconnected halls, set in grounds of 628 acres (2.54 km2) making it the largest exhibition centre in the UK. It is the busiest and seventh-largest exhibition centre in Europe. Opened by Elizabeth II in February 1976, the first event to be staged at the venue was International Spring Fair, which has returned every year since. 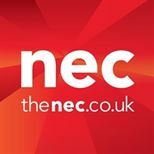 Growing annually, the event now occupies all of the NEC's 20 halls and the LG Arena.